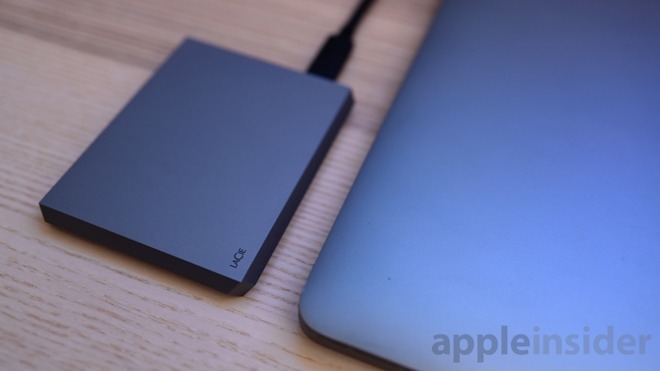 LaCie first debuted the new Mobile SSD in early 2019 during the Consumer Electronics Show alongside their Mobile Drive. The Mobile Drive is geared towards those needing higher capacity while the SSD is geared towards performance. The Mobile Drive ships with up to 5TB in capacity and the Mobile SSD can be maxed out with 2TB. We've been using the Mobile SSD for our portable needs for the past couple weeks with our 15-inch MacBook Pro. These new portable SSDs are well designed, implementing an "eye-catching diamond-cut" aluminum enclosure that is nearly seamless. 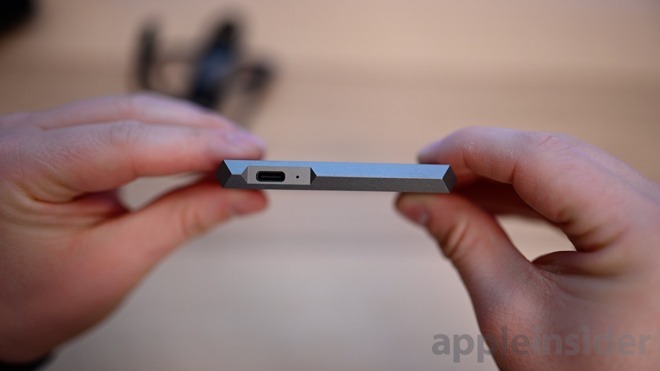 The only seam to be found is on the underside, hidden under the bevel of the device. 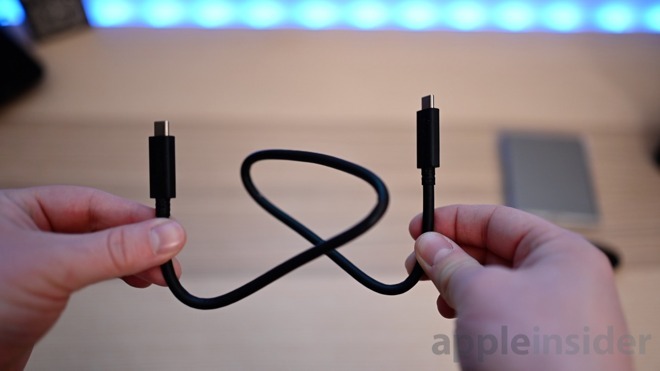 Connectivity is provided by a single USB 3.1 Generation 2 type-C port which sits next to a subtle LED pinhole that flashes whenever the drive is in use. This light is a bit bright, but it does allow you to see it from many angles. 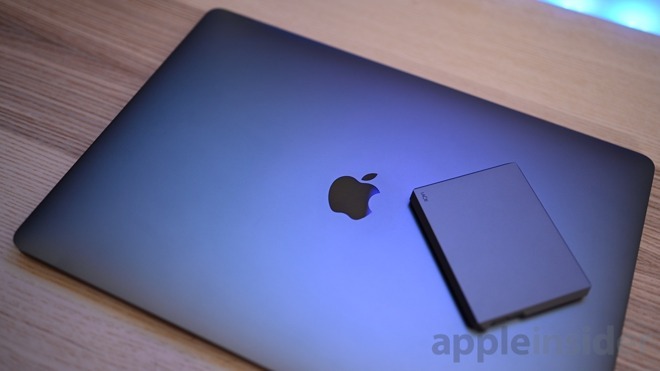 The space gray finish is a hair darker than the anodization of the Mac lineup, but it is a pretty close match. The machined corners can be a bit sharp and we'd appreciate maybe a carrying pouch to protect any other gear that gets tossed in with it. A bag would also allow you to store the cable too. To give you an idea of the size, it is about the same width as an iPhone XS Max and a bit more than half as long. The thickness is roughly the same as well. 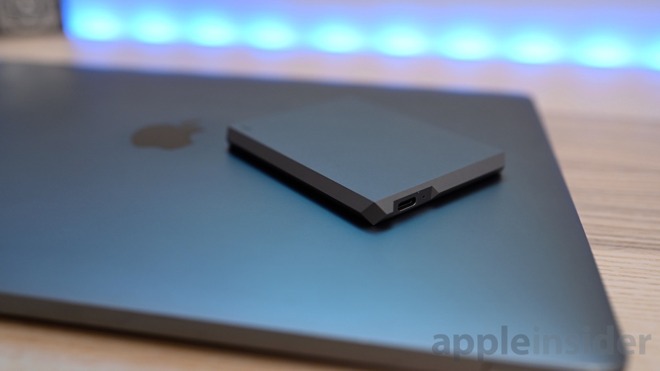 In the box, LaCie includes both a USB-C to USB-C cable as well as a USB-C to USB-A cable. This ensures compatibility with the latest Macs, but still affords you the ability to use older hardware or PCs that still lack the convenient port. The SSD is meant for performance and it does outpace any HDDs in the space —as it easily should. LaCie promises a max 540MB/s transfer rate. Out of the box, even though it is designed for Mac users, the drive is formatted in the universal ExFAT file system. In this state, we achieved write speeds of 477MB/s and read speeds of 516MB/s —not far off from the expected performance. We did reformat it into APFS and still recorded the same results on the benchmark. ExFAT gives you benefits on external drives when going between macOS and Windows PCs, but otherwise, we tend to stick with Apple's file system which was designed with SSDs in mind. To test a more common user workflow, we moved 216 files that weighed in at 7.64GB to the drive with the first test in ExFAT, and the second in APFS. When we moved the image files to the ExFAT formatted drive, it took 29.30 seconds to complete. After formatting to APFS, it only took 20.15 seconds. This drive is, of course, compatible with Apple's Time Machine for backups, but you also have access to the LaCie Toolkit software which offers additional features such as mirroring a drive as well as backups. Mac users, in general, want a device that not only performs well but looks great too. That is what you can expect from LaCie devices. We love the design of the new Mobile SSD and we know we can count on it for backup our machine or editing video on the go. It also comes with plenty of perks such as a free month of Adobe Creative Cloud with all apps. The Mobile SSD comes with a three-year warranty and three years of data recovery services should anything unexpectedly go awry. You can pick up the 1TB LaCie Mobile SSD from Amazon for $234.99. Apple also has them available in 500GB to 2TB configs running $139.95 to $499.95.